Wondering what in the world is that? Probably this word is coined by my nani-ji.. I have no idea. 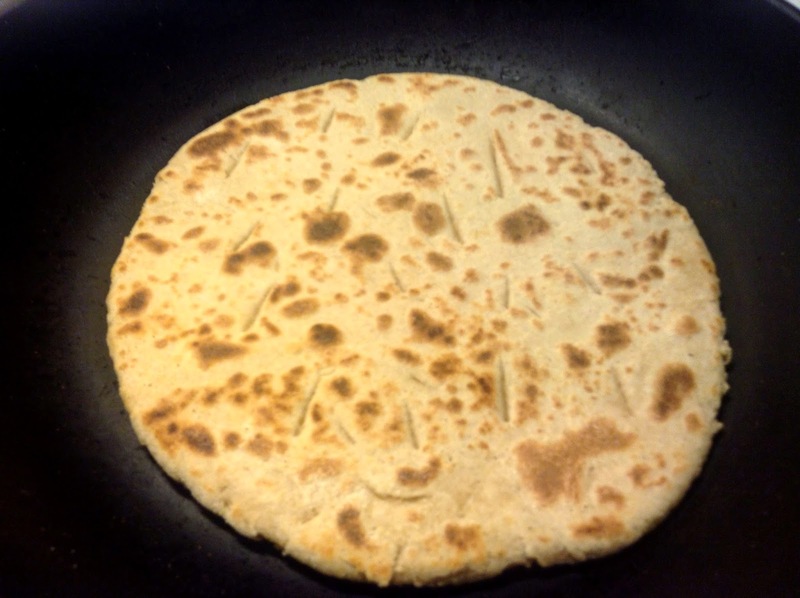 But khubba paratha is what we used to have every time we visited her house. She lived with us for a fair number of years and very often she has been making these for me and my brother. It used to be so heavy that more often than not, one each would be more than enough. The simple joys of life were in visiting her place in a little Indian village, sitting on the floor and eating "khubba paratha" with raw chutney (without using any mixer) and a plain, simple raita.. wow, those were the golden days!! 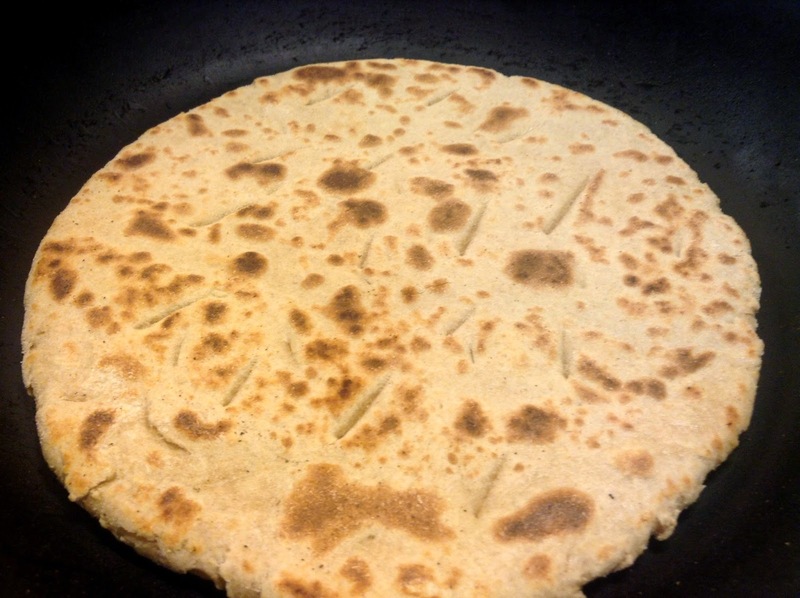 So, when we got bored of eating the same rotis and rice and parathas everyday, I called up my nani and asked for her recipe of khubba paratha; and happily she obliged. 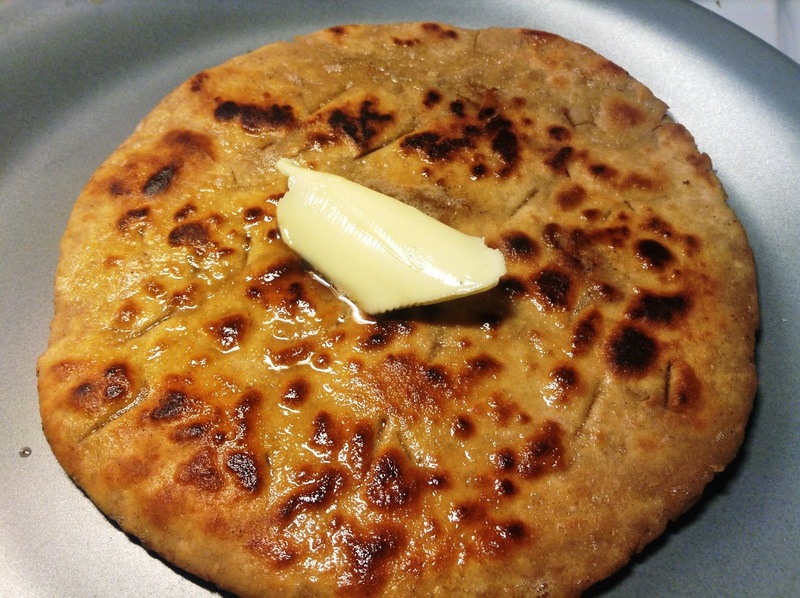 "Khubba" in Punjabi basically means to dig in.. this paratha is made by digging in ghee/butter in the paratha while it is being fried (which is the most important part).. and probably that's how she coined this word.. 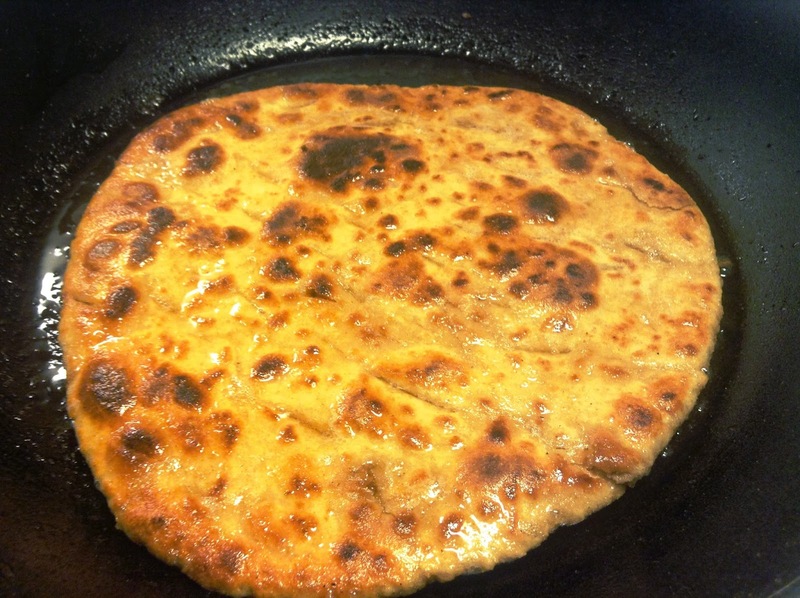 The paratha being done from both sides before frying..
Paratha being fried in ghee/butter over medium heat.. The final product.. topped generously with ghee/butter to suit the taste buds..